For modeling agencies from Hamburg, the metropolis is a really hot spot! In Hamburg, the media world! For our model agency models is Hamburg a real place-to-be. For advertising, TV and magazines we provide professional agency models with experience, talent and joy of a job. Take a look now – all female models and male models. Here the big players frolicking, from the media and fashion world, in the north of Germany. The metropolis is not only for tourists a rich program of arts and entertainment, and for the fashion world and for Models Hamburg in Germany, inter alia, “the place to be”. Also, we maintain close contacts as a model index in the Hanseatic city. Read more about Cocaine Models, the model agency or take a look at our models. We want to find our way in the Hanseatic city. That is why we are always interested in new projects, talents and partners. With perfect Sedcard Management, Portfolio and informative website and mobile perfect view, we offer especially for models from Hamburg professional management – over the worth pondering. 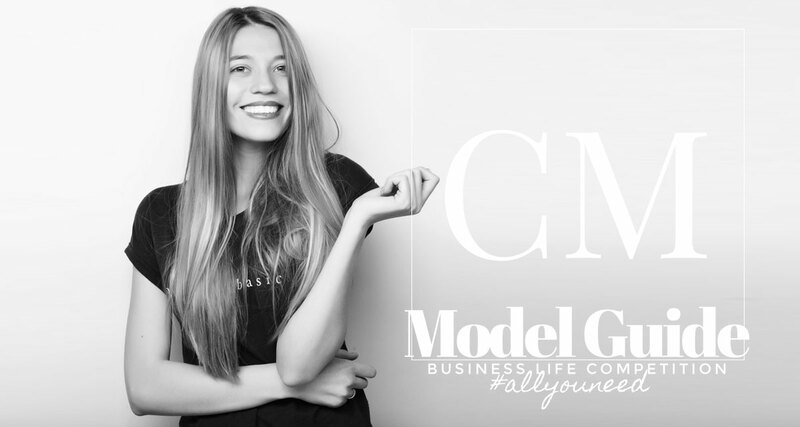 Even for customers, whether advertiser, media or fashion company, we can guarantee services within a few hours and organize model Bookings fast and carefree. With models from the Hanseatic City and from all over Germany. For questions, please call us or send an email to our modeling agency office. In Hamburg, the fashion-conscious lady has a slightly larger wardrobe than their German Durchschnittspendant generally. She needs your quality accessories as well as the exquisite basics in great number, without dealing with wasteful once purchased favorites. Your ideas she gets at events such as the Art & Fashion and eye-catching Hamburg, which take place regularly. Especially in winter from Hamburg proves not only a sense of fashionable appearance, but she puts on warm fabrics. These finds at the plastics trade fair in Hamburg, as well as at trade fairs for pregnant women and children as the Children’s fashions North. Hamburg is in many ways little fashion metropolis and also for us as a model index interesting for shootings, Bookings & Co.
Hamburg moved us as a model agency again and again! The sea is always there and the rough wind of the coast when a Hamburg equips itself for the storms. Here lies the true art of fashion design, to let warm clothes look very nice. This challenge, designers such as Anna Fuchs or Garment, which can also be found on the international market recognition. The longing for the vastness and the sea is described not only in old shanties, but it is also expressed in the matter of course, to dress well with the citizens of Hamburg. In the Euro Papa Sage and in the Mönkeberg Passage Hamburg citizens as well as visitors to the city can browse fashionable basics and accessories to your hearts content. Toni Garrn is a German model and was born on 07 July 1992 in Hamburg. She grew up in Hamburg, London and Athens. She was discovered as a model in Hamburg at a Fan Fest for the Football World Cup 2006. The international breakthrough followed in 2007, when she was booked exclusively for Calvin Klein. After her graduation, she moved even a residence in New York, to work professionally as a model. Toni Garrn led from mid-2013 until December 2014 a relationship with Leonardo DiCaprio. Become a model – apply now! We manage the booking, ie, we can arrange bookings for Models. For business customers we organize auditions. We organize, if time permits, own shootings, but also arrange for partner projects. Our many years of professional practice experience in the industry, we have blossomed us quickly to a recognized agency for Photo Models. CM, the modeling agency lists in search engines like Google far ahead. Our modeling agency Models Cocaine scouting models even in harsh north, in Hamburg. Our Head of Booking is here: why, Probst on the jetties, Cheers to the neighborhood and … if you are from Hamburg Model: write us an email! Despite rain and wind, we are often on the road to discover in Hamburg city center to new talent. But because the Internet is yet cozy, we accept all requests and model Bookings online. Even in Hamburg, we are a model agency is the right partner for Fashion & Photography Models. We believe in friendly contacts, strong and clear Models Model Management, Booking and Casting. Hamburg du Perle! At each ICE trip to Hamburg the joy already about two hours before rising: The port, Jungfernstieg, Schanze & Co. The city on the Elbe stands for fashion, premium brands, Modeling and luxury. Although it felt a little more price-conscious than about Dusseldorf or Munich. The city is expensive, whether shopping or residential, while Hamburg is among the first places when it comes to shopping experience. Hamburg, yes that’s true, most shopping malls throughout the country. Most small, chic and elegant malls right in the city. Besides a lot of flair, the Hanseatic city but also offers a wide bundle of entertainment, fashion and of course good food. For Models, Model Scouts and us as a model agency, as stated above, Hamburg a true mecca when it comes to fashion! Luxury there at every turn. Whether Cartiert, Tiffany, Prada, Versace, Chanel and Louis Vuitton. The fashion boutiques are nicely located between City Hall and Jungfernstieg.